The mission of the North Central Mass Youth Hockey Association is to provide an ice hockey program which believes quality instruction and skill development allows all players to reach their maximum potential in a safe and recreational environment. The development of all players is to be a positive, enjoyable experience which focuses on team play and sportsmanship. North Central Mass Youth Hockey Association serves as the local youth hockey program for the following towns Ashburnham, Gardner, Westminster, Winchendon and surrounding areas. 2019-2020 Midget Travel Hockey Registration is now open, need more players to possibly have two teams! 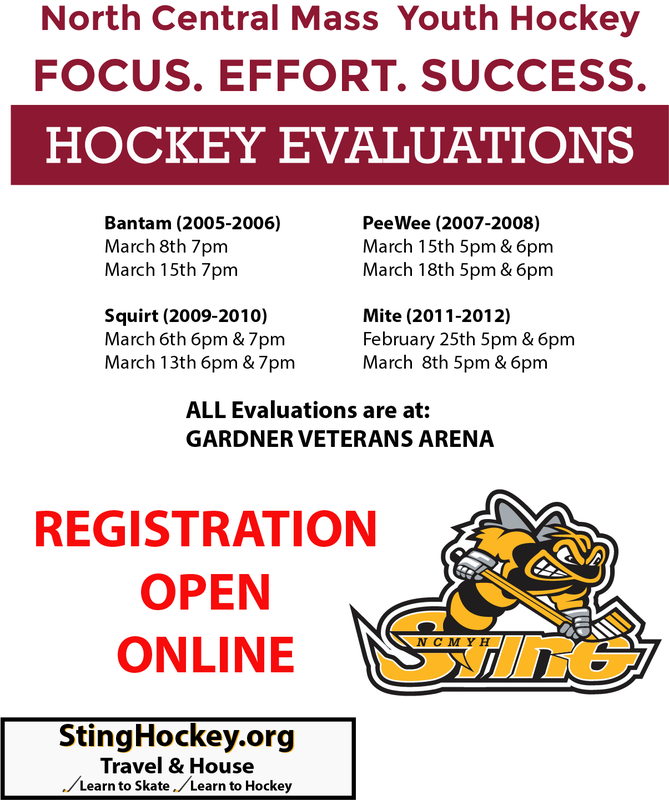 2019-2020 MITE - ADM In-House Registration is now open! Register Today and tell your friends!